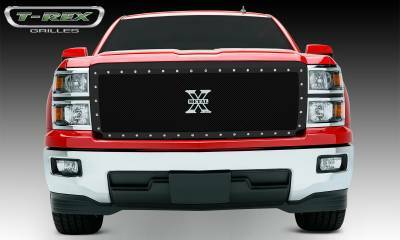 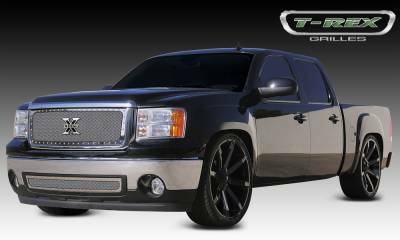 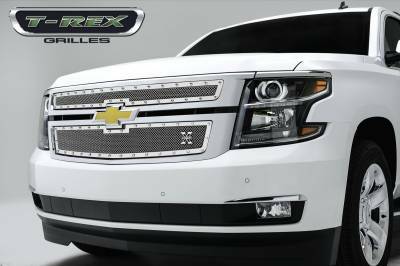 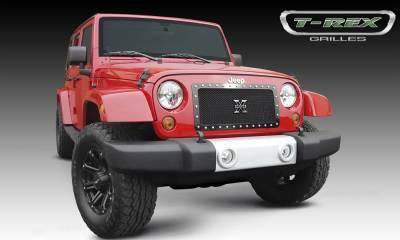 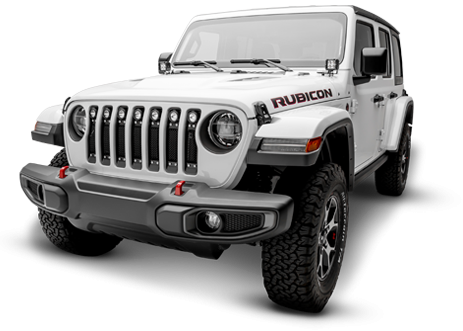 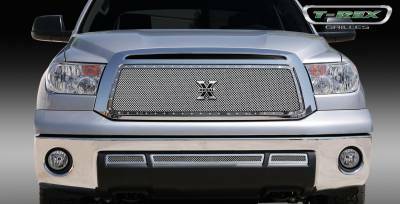 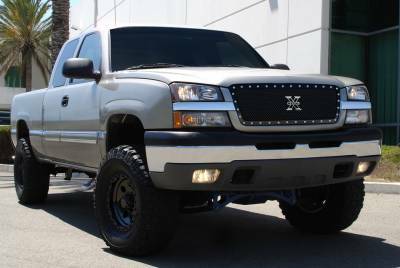 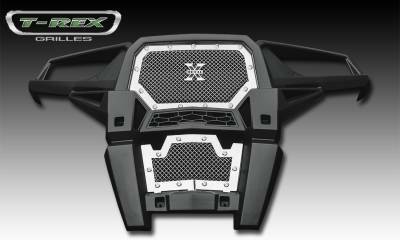 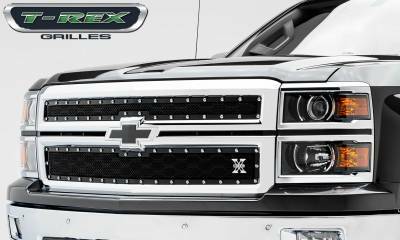 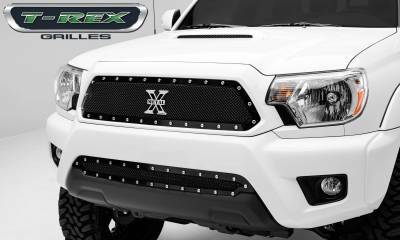 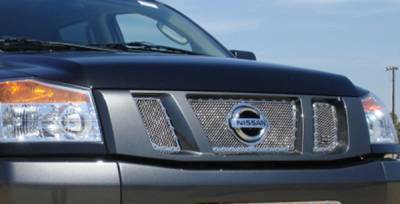 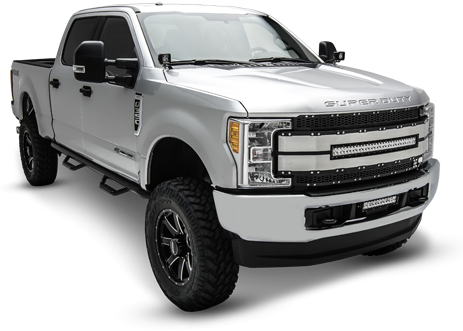 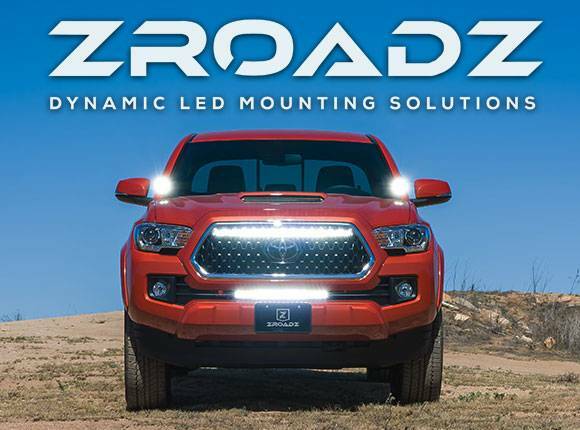 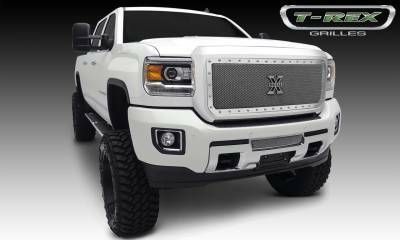 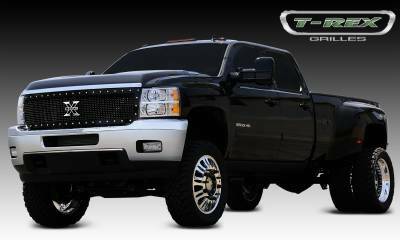 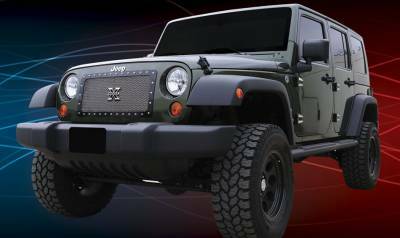 T-REX X-Metal Grilles are designed for the extreme truck and SUV enthusiast looking to make a bold statement. 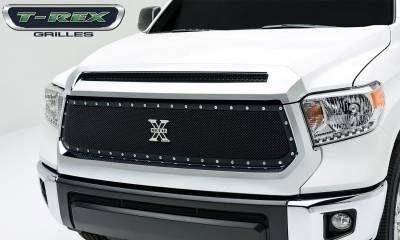 X-Metal Series Grilles feature an aggressively studded perimeter surrounding the formed heavy gauge mesh. 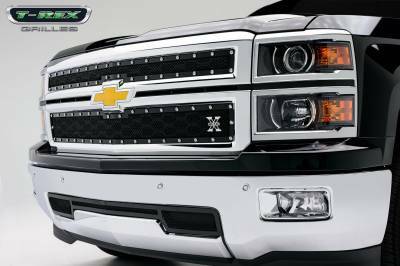 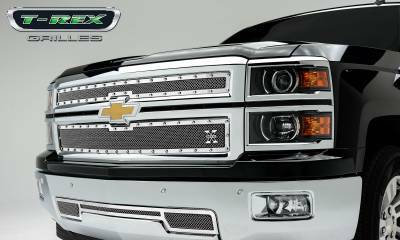 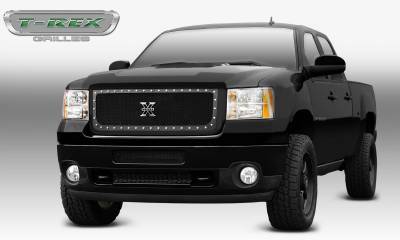 Each stud is embossed with X-Metal branding and every grille includes our patented X-Metal Grille logo. 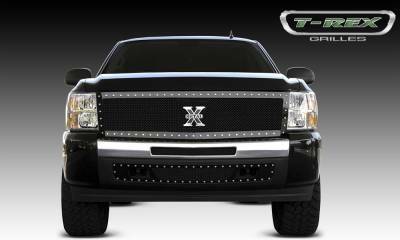 Grilles come in black or polished stainless steel finishes and are available with black or chrome studs. 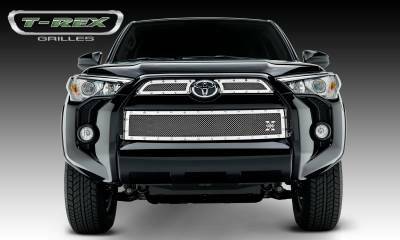 Please note main and bumper grilles are sold separately.